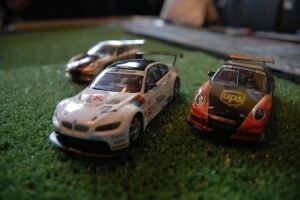 You are browsing the Blog for Appaman Grand Prix - Scoop: The Appaman Blog. 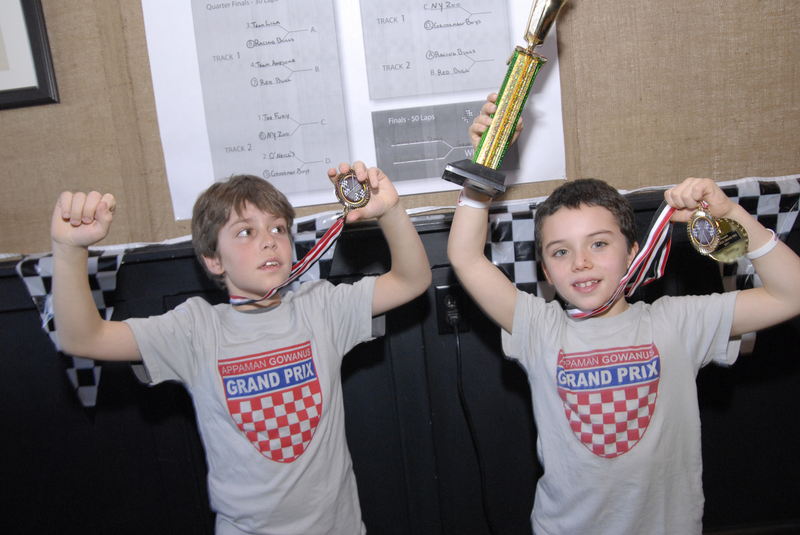 You may have seen the event photos already (click the link if you haven’t), but we just got our hands on the official video from the 2nd Annual Appaman Gowanus Grand Prix. Can’t make it to Brooklyn this weekend? You can still participate by purchasing this Limited Edition Appaman Gowanus Grand Prix t-shirt ($24) on Appaman.com. They’re available in kids’ sizes 6, 8 and 10. 100% of your purchase goes to Alex’s Lemonade Stand, so not only do you get an awesome shirt, you’re directly supporting a great cause. You can also show your support by donating to the event on the Eventbrite page, helping us reach our goal of contribute even more to Alex’s Lemonade Stand Foundation. We’d love for you to share the Eventbrite link with your Facebook friends to spread the word and get your community involved. Let’s rev our engines and make lemonade out of any lemons in our life…See ya there! 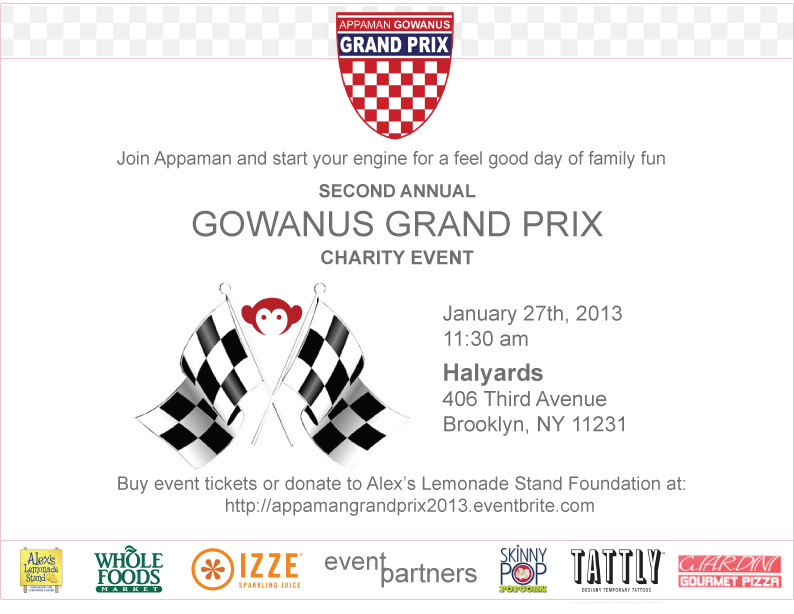 Another year, another great time had by Appaman and friends at the Second Annual Gowanus Grand Prix. 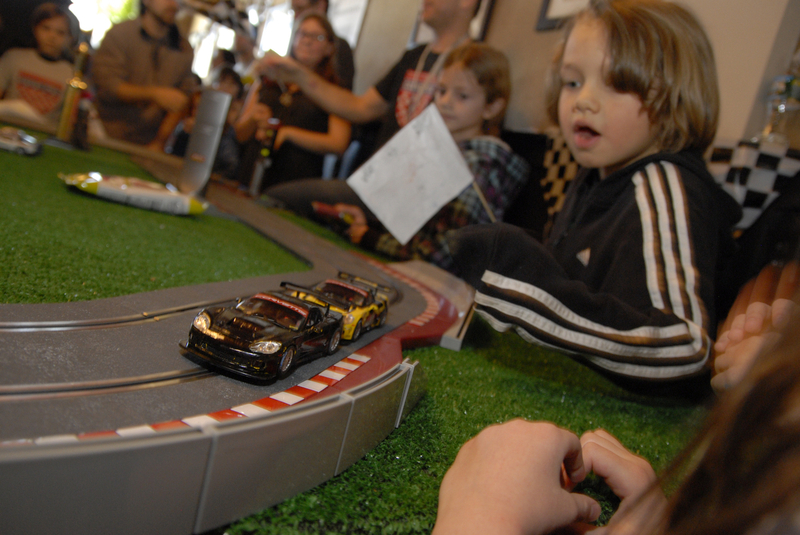 This year, 20 slot car racing teams competed in the tournament, headed by none other than Appaman co-founder (and all around awesome guy), Trackmaster Harald Husum. All proceeds from the event went to benefit Alex’s Lemonade Stand Foundation for Childhood Cancer, and thanks to our sponsors, Halyard’s Bar (for the cool and friendly venue), Izze (for tasty beverages), Skinny Pop (for awesome healthy snacks), Whole Foods (for delicious sandwiches), and Tattly (for THE best temporary tattoos we’ve ever seen), the event was a huge success! Another thanks to our friends and fans for coming out to Brooklyn on a chilly Sunday morning and bringing the fun. 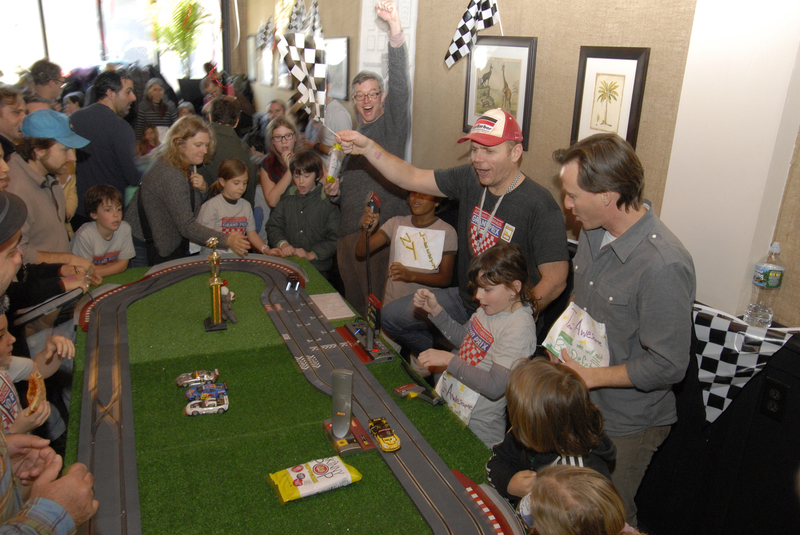 We couldn’t have done it without your great attitudes, generosity, and (lest we forget) your mad racing skills. We’re already excited for next year! Scroll down to see photos from the event (click to enlarge). Congrats to the winning team, the Grossman Boys! It was a tight race, but they triumphed.